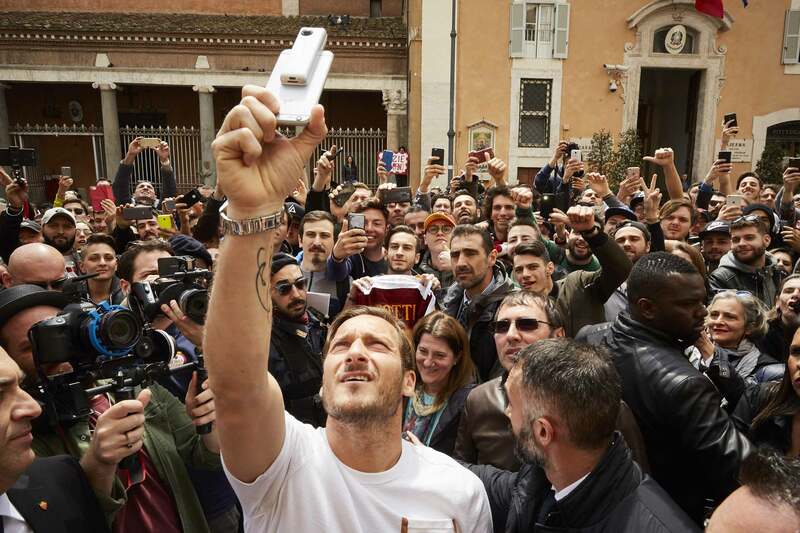 In celebration of the unique career of AS Roma’s captain, playmaker and legend, Francesco Totti, Nike introduces the Tiempo Totti X Roma boots. 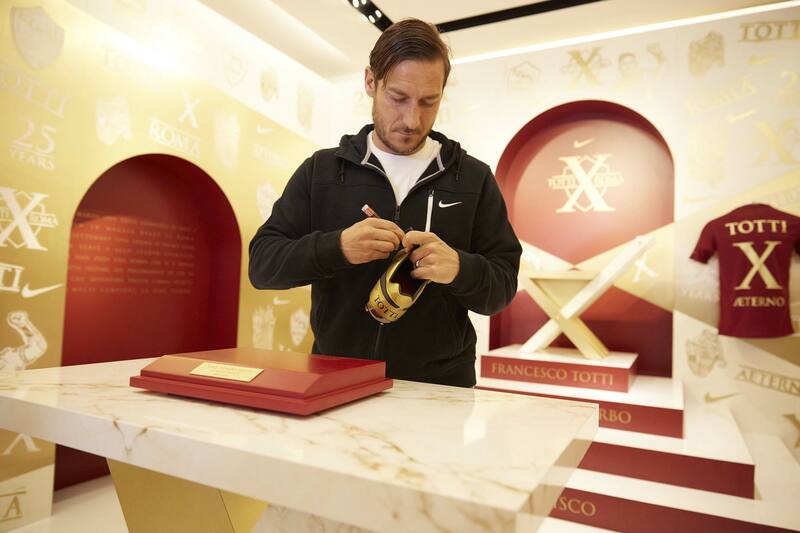 In celebration of the unique career of AS Roma’s captain, playmaker and legend, Francesco Totti, Nike introduces the Tiempo Totti X Roma boots. The release is limited to 2,500 individually numbered pairs — 100 for each of his 25 professional seasons. Totti is renowned for his love for and loyalty to the club, having spent his entire professional career, spanning 25 years, with AS Roma. 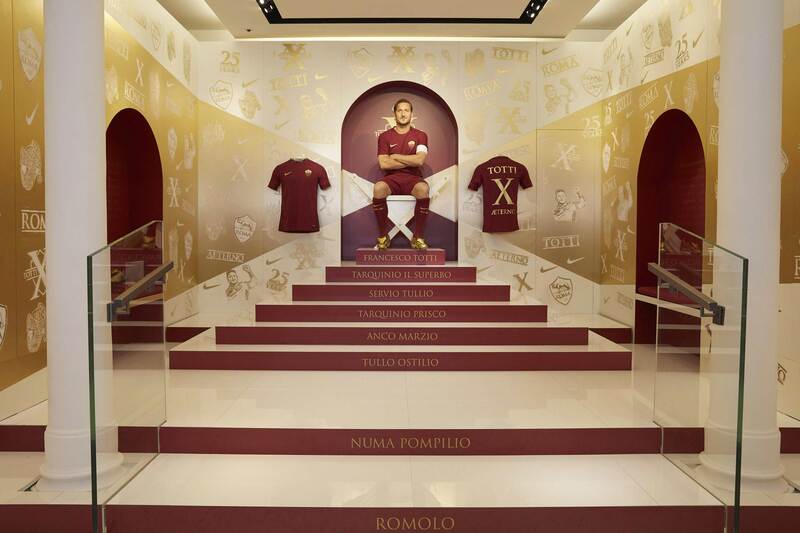 Becoming captain of the club in the 1998-1999 season, Totti is widely venerated as “Il Capitano” (the Captain) of the entire city. His stature in Rome is such that he has been considered its Eighth King. We created an incredible consumer journey in a PopUp store located in an historical square, base of luxury brands.